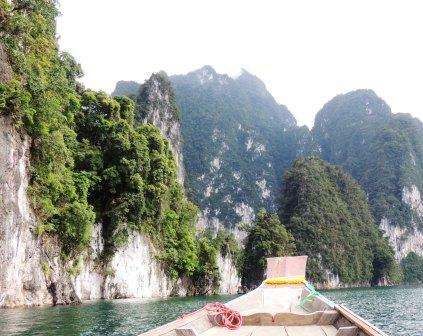 Khao Sok Lake Branch of Andaman Discoveries! We are happy to officially introduce the Khao Sok Lake Branch of Andaman Discoveries! 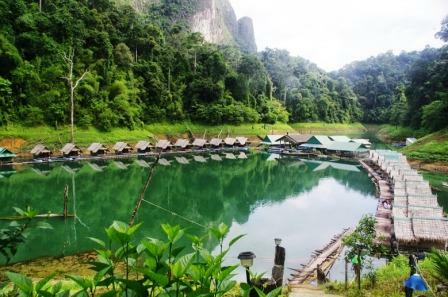 The office in Takun, Surat Thani offers sustainable tours and accommodation on Cheow Lan Lake in Khao Sok National Park. 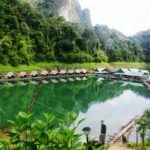 Khao Sok Lake is dedicated to encouraging community based tourism and empowering the local communities and family run businesses to directly benefit from the influx of tourism on the Lake. The trial season was met with great success and guests walked away with a greater knowledge of Cheow Lan, its communities and environment. Guests have the opportunity to experience the Cheow Lan Lake in a sustainable manner, by using local guides and boat drivers and staying at the family run bungalows. The local guides collaborate with the guests to create the tour, allowing an experience that highlights the interests of the visitors and the specialty of the guide. Khao Sok Lake strives to give back to the local communities by participating in events like a trash cleanup on the Lake and volunteer teaching in local schools. In the next months Khao Sok Lake will hold a local guide training to increase the capacity of current guides and offer the opportunity for other local guides to be apart of this kind of ethical tourism on Cheow Lan Lake. This will help local community members see the benefit of protecting this beautiful place for future generations! 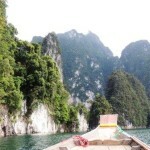 If you would like to participate in a tour on Cheow Lan Lake please see the website Khao Sok Lake.